Victoria and I have started this series focused around pen pals and the post. 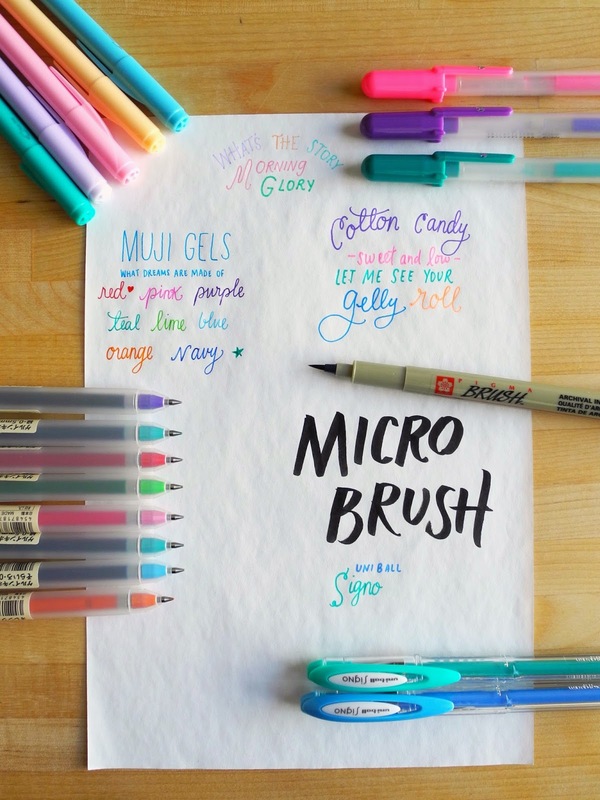 For the first installment, we're sharing our top writing utensils. I found these morning glory pens in a local stationery shop in Korea Town, Mauya Tokyo Gift Shop. I couldn't find them online :( I like the fine points and they don't smear. Gelly rolls have come back! I was obsessed with these in middle school and I'm happy they are back in my life :) The gelly roll moonlight series are my pick for their paint like effect. 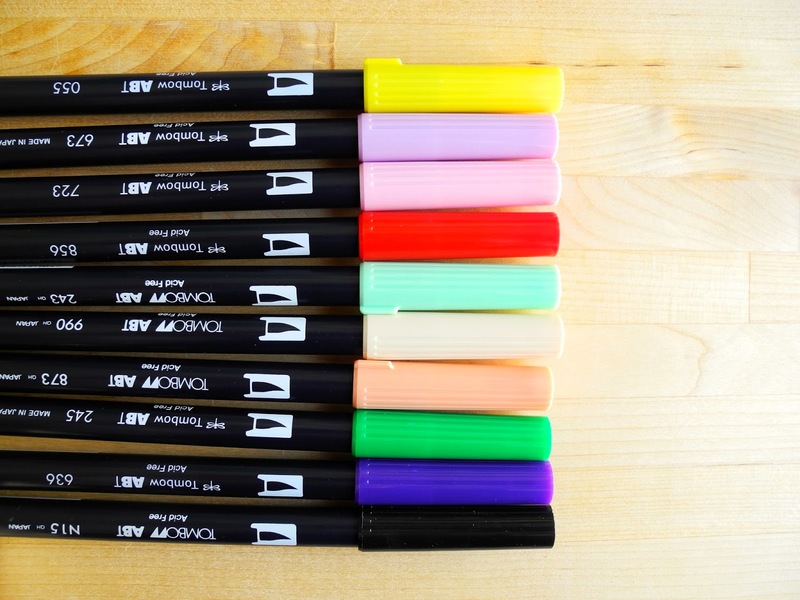 Muji gel pens are all around great. Really affordable, and they come in a lot of colors. I like them for writing on very thin sheets, such as air mail paper. They don't tear, smear, or bleed. 1.50 each- and I've had them for over 2 years! When I need a finer brush tip than the tombow, I like the pigma brush. They also come in a lot of colors. I found the uniball signo gel pens at my local Kinokuniya in Little Tokyo. The ink takes a little while to dry but is really nice once it sets. Today I'm sharing my favorite pens. These Tomboy dual point markers are really great. One side is a brush tip, and the other is a medium marker tip. 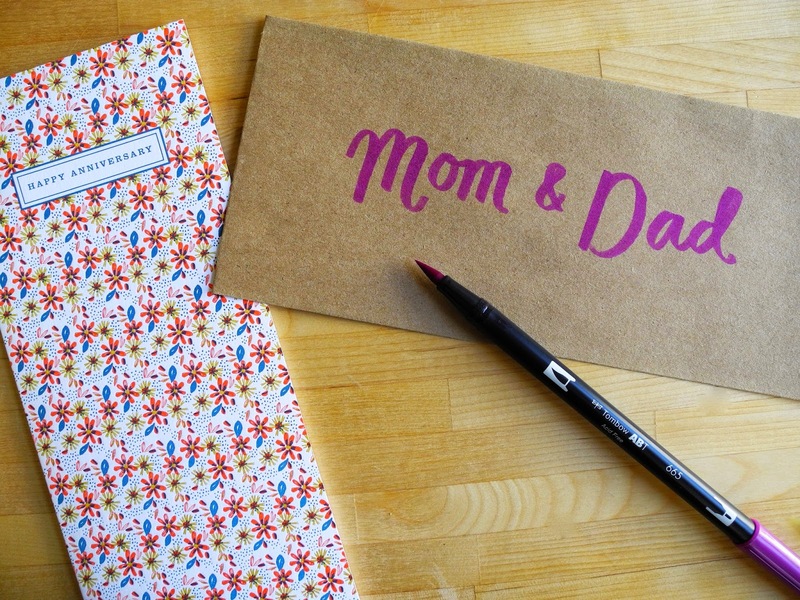 I use them a lot for addressing envelopes, especially when I want something to stand out. The colors are saturated and perfect. I carry a few in the shop, but my local art store has every color. I've been really into this purple recently. 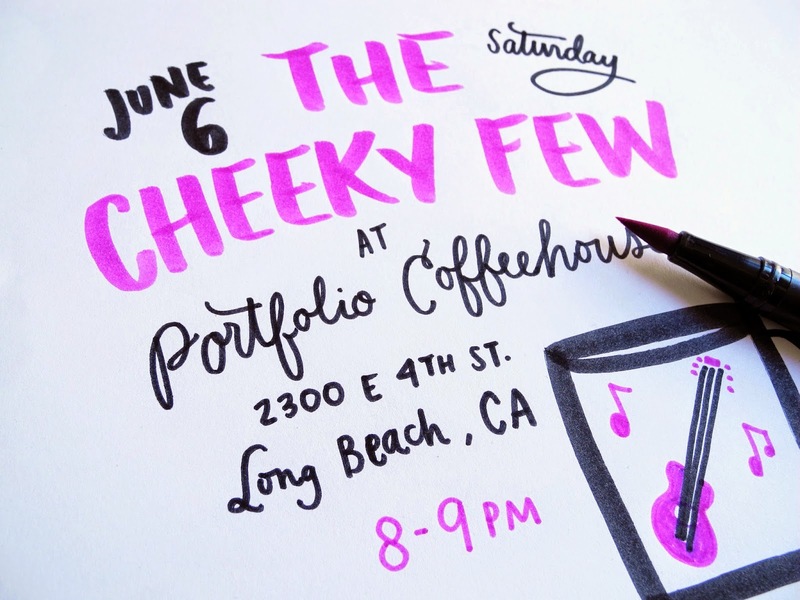 I just made a show flyer for my favorite band and used the tomboy markers. This is a good example of the tomboy's brush tip and marker tip. If you're in the area you should come to their next show! This Tachikawa nib holder is the skinniest nib I could find. It's a pain to write with because it barely holds any ink but I use it all the time because I love the way it makes me write. 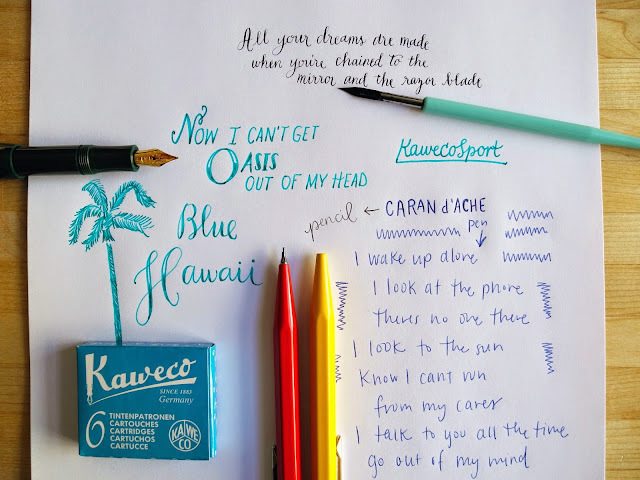 The Kawecosport Fountain Pen is my favorite. I love all the different cartridges you can get for it, but this turquoise is definitely my go-to. The Kaweco works on a variety of papers but it does need a little time to dry or it can smudge. The Caran d'Ache is the best all around ballpoint and mechanical pencil. It's my everyday pen, and you can get the refills in a lot of great colors. As for paint pens, these are my favorites. I thought it'd be redundant to go into them here ;) These are my absolute favorite for decorating kraft paper packages, and dark envelopes. Check out Victoria's post for all of her favorite writing instruments. Victoria and I would love to see you there! RSVP and all details here. I hope the pen pal club happens every month! I can't make it this month, but hopefully the next time you have it! Hi, it is going to happen every month. We had to move this week's meeting to next week though. So excited for a series about pen palling! I love writing letters! Just started using tombow markers. I like them but don't feel like I've quite gotten the hang of them. Need lots more practice! Pen Pal Club Date Change and Shop Update!